There are various types of Trusts which can be set up, each with their own benefits. Fixed Trust – In this type of Trust the beneficiaries are named and the exact proportions of how much each will get is clearly stated. Discretionary Trust – In this type of Trust the beneficiaries are named, but the Trustees are given the power to decide to whom and how much to give. Interest in Possession Trust – In this type of Trust the beneficiary can use the asset whilst they are alive, however it is then passed onto another beneficiary when the 1st dies. Protective Trust – In this type of Trust the beneficiary is simply paid the interest and income from the asset whilst the capital remains protected. When appointing trustees to run your family trust it is important to make sure that you choose people who you feel will be able to conduct the affairs of the Trust properly and who will follow your wishes and perhaps equally importantly, people you can hold accountable if necessary, such as professionals who are insured and who are expected to meet high standards of competence. A maximum of 4 trustees can be appointed, and whilst you may choose to only have 1, it is best practice to have at least 2 so that they can check on each others work. Trustees can be a friend, relative or professional, however they cannot be a minor, or someone of unsound mind. Whilst professionals may charge for their services, it can be beneficial to have one on board, especially if you and the other Trustees do not have the financial or organisational skills required. However, in some instances where an individual has very substantial assets or a firm view on ensuring assets are invested properly or for other personal reasons, a discretionary trust may be set up in a will or such trusts can also be established outside of a will and without wills and estate planning being the motivating factors. to protect beneficiaries from creditors – with a discretionary trust no individual beneficiary has a set right to a specified proportion of trust assets so if a beneficiary becomes insolvent, the trust assets can be protected from a claim by the trustee in bankruptcy. to ensure that trust assets are retained for beneficiaries who are children, or until adults reach specified ages, or specified events occur. In short to safeguard future generations. enabling a high degree of flexibility to react to different events, needs and situations. a means to lessen liability to pay Inheritance Tax. As with any trust, as a matter of technicality, this will mean legal transfer of ownership to the trustees, so it’s vital that the appointed trustee(s) are the right people to comply with your wishes. A discretionary trust gives the appointed trustee (the person in charge of the trust) the power to decide how to use any income that is produced by the trust. Sometimes the powers in a discretionary trust stretch to allow the trustee to use the fund monies themselves, but generally speaking, their powers are limited to use of the income of the trust. The trustees of a discretionary trust may, for example, be granted the power to decide how much income or capital is paid out, when it is to be paid and to who and when it should be paid and they have this flexible power over all the assets in the trust, be it property, shares or money. By creating a Trust in your lifetime, you may be saving your loved ones from having to go through the legal procedures of Probate when you die. However, this would depend on what other assets you had at the date of your death. If you need a solicitor for setting up a family trust, drafting a trust deed, issues on administering a trust or legal issues or problems with trustees, please do get in contact with us. 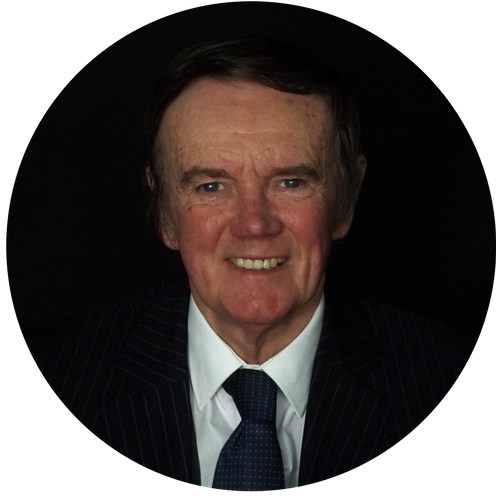 An experienced and approachable lawyer, Michael advises on all aspects of family trusts including drafting trust deeds, administration of trusts, legal disputes arising on family trusts. Michael is based in our Edgware Office but advises clients in North London and London generally on family trusts.